As 24 Dec 2010, WEIDA retest RM0.89 resistant. Is it a bolinger band break up??? 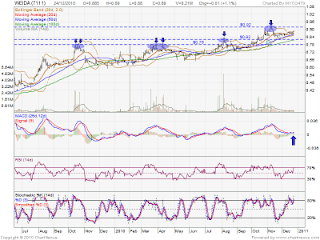 If YES, it should retest RM0.92 resistant soon. 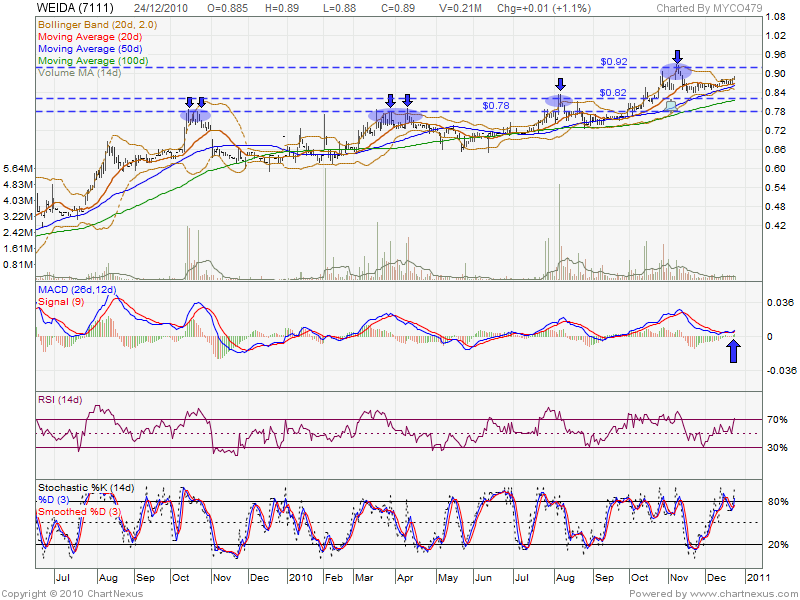 However, if retrace down, RM0.87 should be the support level which is MA20. Next subsequent support, MA50 RM0.86 level.